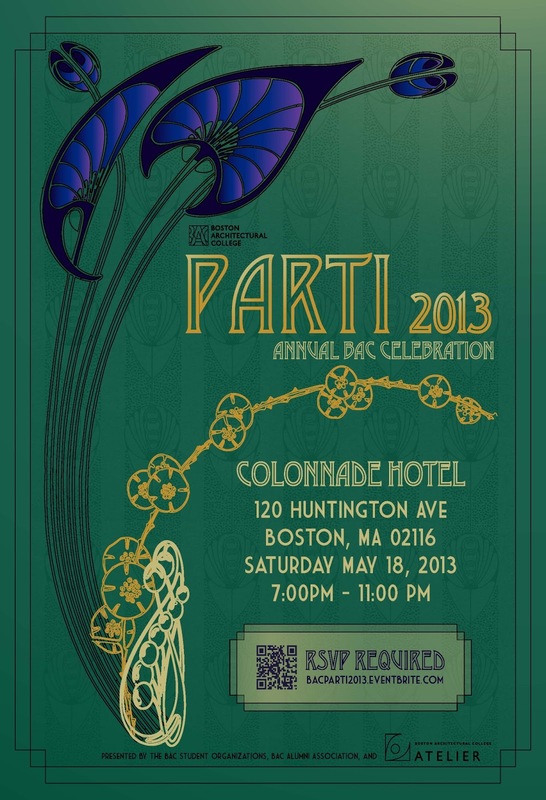 BAC Parti :: RSVP Now! The Boston Architectural College Student Organizations, Atelier, and the BAC Alumni Association invite you to attend an end of the school year celebration. Pantone Color of the Year: Emerald. Dress to impress for a cocktail reception turned dance party. There will be passed appetizers and a cash-only bar. All guests are allowed to bring a plus one. 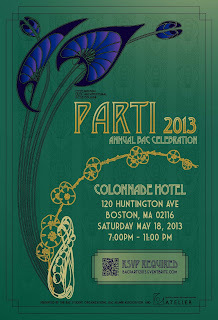 RSVP required by May 15, 2013.